Coffee Breath may as well just be my newest heartthrobs. With the perfect combo of DIY emo spirit and math rock, the quintet is sure to win you over. 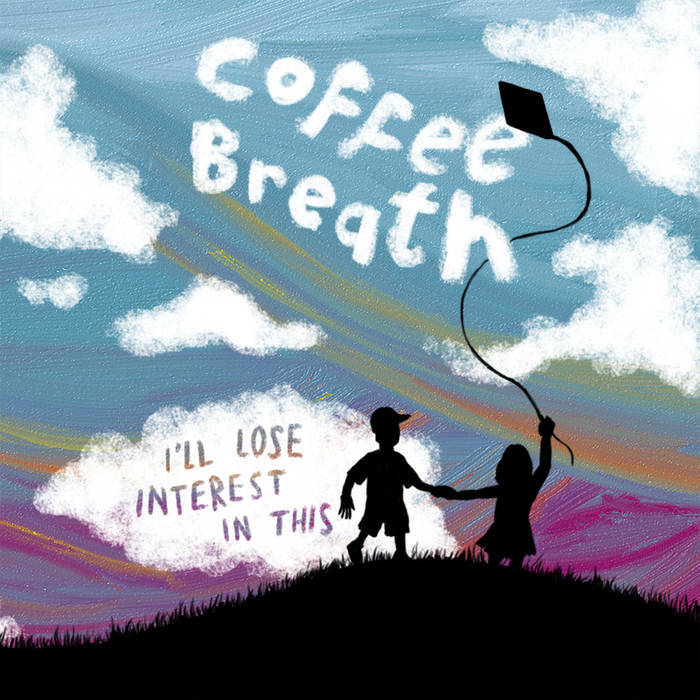 Located in the United Kingdom, Coffee Breath are a breath of fresh air (hah) in their respective scene, and their most recent EP, I'll Lose Interest In This is unbelievable. If you're a fan of bands like Title Fight and American Football, Coffee Breath is for you. They remind me a lot of local New Jersey band Halogens, which ideally would be a future show if either of them decide to hop across the pond. I'll Lose Interest In This was released on May 26th of this year, and was produced, mixed and mastered by Will Cook (Classically Handsome Brutes) and presents a refinement of the band's sound. It was released digitally by Further Sky records with a cassette release from Honeypot Records. Check out the tracklist below before we dive in! I'll Lose Interest In This is a dreamy, math-y album that begs you to hold it's hand in a way that you know it's going to break your heart. Opening track "Summertime" introduces listeners to that special Coffee Breath sound, with a guitar that buzzes against the hum of those half-sung, half screamed lyrics. "Playfight" is going to slow it down a little bit for listeners, but at once of the longer tracks on the EP it can, at times, feel monotonous. However, if listened through completely, "Kites" will pick you back up to float along with Coffee Breath. This track is my personal favorite as it really exudes this fun indie pop aspect that feels good to listen and vibe to. A bop for sure, definitely check out "Kites." "Daydream" closes out the EP in a slow, smooth almost Jazz inspired piece. The closing track is a true testament to what the EP is really aiming for - and may have been the reason I fell in love with Coffee Breath. You should check these guys out, and I know I normally say that, but this EP is really concise, exciting and well done. The precision of the EP is a testament to the band's love for their music and also their hard work. To keep up with Coffee Breath and all that they're going to be up to, check out their social media below!